This entry was posted in Worldcon and tagged Arwen Curry, Dublin 2019, Hugo Awards, Jo Van Ekeren, Ursula K. Le Guin, WSFS by Mike Glyer. Bookmark the permalink. I am proud to be a co-sponsor of this motion. Tissue boxes, 1 Euro each. Great fund raiser. It should also be eligible under BDP:SF, yes? It’s a documentary, not a dramatic presentation. I personally would not nominated it in BDP. Another one in support of this motion. It is a stunning documentary…and yes, I’ve seen it. Saw it at the DC Independent Film Festival, with Q&A with Arwen Curry afterwards. It’s a great documentary. Excellent move. I hope this is successful. Passage of this proposal would make the documentary eligible for nomination in the Best Related Work category for the 2020 Hugo Awards next year. I really hope that it does get an extended eligibility period. 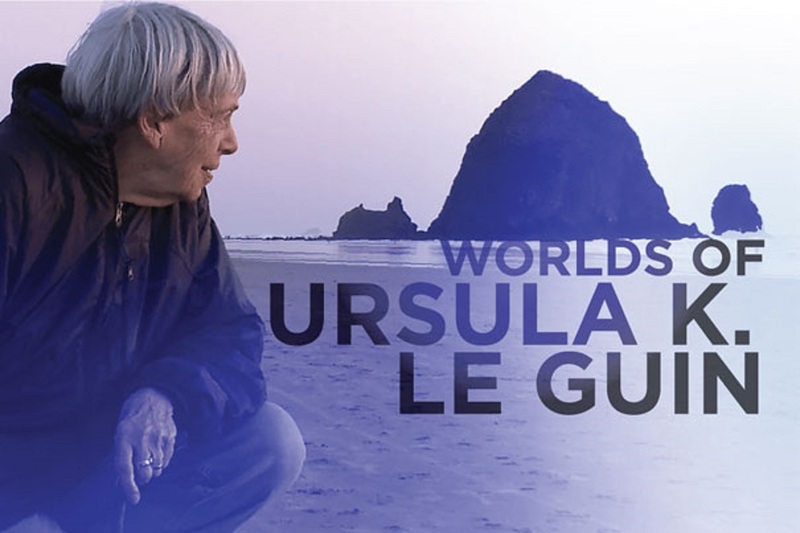 We were lucky enough to see the premiere here in Portland (after seeing a few excerpts previously during the memorial service for Ursula), and it’s an excellent film. I think eventually someone is going to need to submit a clarifying amendment modifying BDP to require that dramatic works be fictional, and explicitly stating that Best Related Work includes non-fiction audio and video works. Or alternatively forcing documentaries into BDP on the grounds that “dramatic” “fictional,” which is what people insisted was the case when I first made such a point years ago. Oh, yes, hope it passes! For those who are wondering why it’s had such limited distribution: the filmmaker apparently cut a deal with PBS (which will be showing the film later this year as part of their American Masters series). Normally, they wouldn’t have allowed it to be shown at all, but because she was able to complete production on her own (with some help from Kickstarter), they’ve allowed it to be show if and only if she is present at the showing! After it’s been broadcast here in the US (scheduled for October), options will open up. Unfortunately, that’s after Worldcon, so Dublin would have to make special arrangements if they wanted to show it. Which is definitely possible, but may or may not be feasible. And yes, I’ve seen it, agree it’s awesome, and very much hope this motion passes. I saw it at Sheffield DocFest, and will definitely try to be in the room at the business meeting to vote in favour. he anime feature film your name was also extended for similar reason at Worldcon 75. If anyone is planning on attending the Dublin Worldcon and wants this to pass, please plan on coming to the preliminary business meeting. Despite the innocuous sounding name of “Preliminary” this where we set the agenda and determine debate times; and any motion can be voted off the agenda during the preliminary meeting. I don’t anticipate that this motion would be that controversial, but it never hurts to have as many people as possible present to support it. Then, also please come to the portion of the business meeting where this will be debated and voted on. That would likely be the next day’s session. I wish I knew more of how the talking heads were chosen for the feature (other than, obviously, the family members and Ursula herself!). Maybe they all had some deep personal connection with her, but in only a couple of instances was that connection shown in some way. Further to ULTRAGOTHA’s point, it’s quite possible that this resolution (since it’s not a constitutional amendment) will be finally adopted at the Preliminary Business Meeting. So if you only come to the Main Business Meeting you might miss the entire thing even if it passes. The bad news about the film as it will be shown on PBS’s American Masters is that it will be cut down to 53 minutes from the original 68, deleting all mention of The Lathe of Heaven. The cut is so that it will fit into their format, with intro and outro and other stuff. Curry told this to an audience at Boskone this year.